The day of the dead in Mexico. 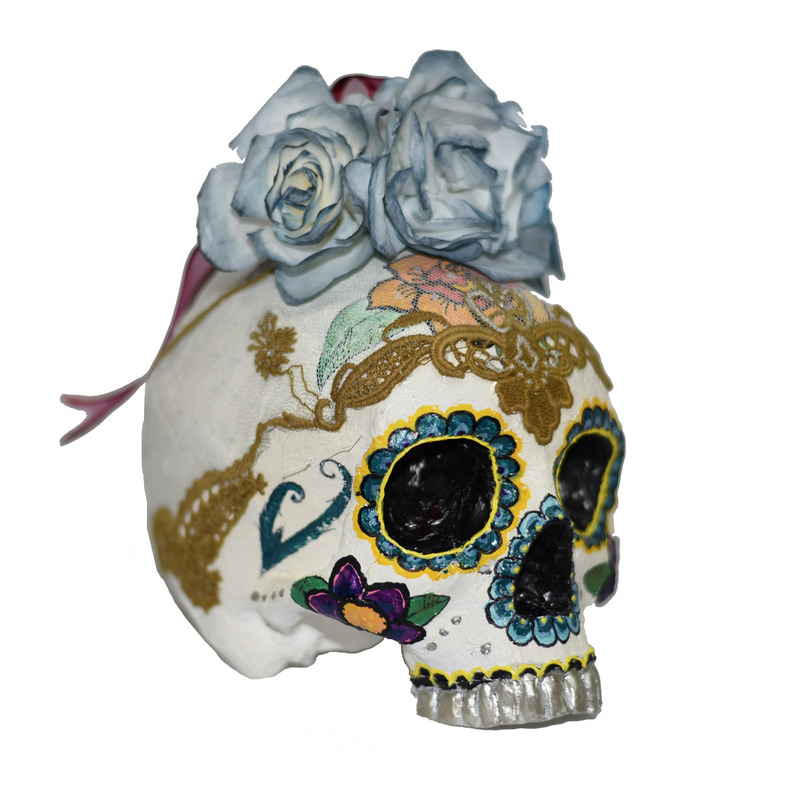 Decorative Skull of papier mâché with painted designs. Representing my grandmother Milagros to remember her Mexican ancestry. Death is certainly not regarded as a termination but as an elevation to another level of existing.